Money to be learned @ TechCrunch Disrupt. I had a great day yesterday thanks to the Internet. 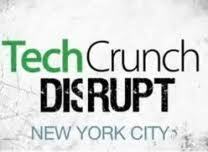 TechCrunch Disrupt was held in NYC again and streamed live. For freezle. Fred Wilson (AVC.com) of Union Square Ventures started things off interviewed by TechCrunch veteran Erick Schonfeld and Fred offered some gems on venture investing. Union Square has invested in Twitter, Etsy, Disqus, Foursquare, Tumblr and Zynga, lately making Kleiner Perkins appear standing still. It’s better to be an anthropologist than technologist in venture capital. Social, global, mobile and cloud are the key trends. We invest in the cultural revolution. We like people who have a deep obsession over a long period of time. Dennis Crowley of Foursquare was there and smart. Chris Dixon an investor and edge burnisher was a panelist. Michael Arrington, three quarters funny, interviewed his boss Tim Armstrong, CEO of AOL. Between speakers and panelists, there were green room interviews – a very nice touch. Back in the day (a year or two ago) if you tried to stream something like this, it would have been a herky jerky mess. Not now. Not with Ustream. The afternoon was a start-up jump ball in front of other entrepreneurs and VCs, some of which I watched but found to be a bit below the morning program. The event rocked. And speaking of rock, in the 70s and 80s in NYC, it was the rock star start-ups who were rock stars. Now they are tech dudes. The art is different, the drug is Red Bull and the output is hard to dance and hum to — but tech is really bringing NYC back. Plus there was a big East Coast/West Coast thing going at the event, too. If you can attend next year…or if you can’t but can clear the decks to watch the stream, do it. There’s money to be learned. Peace. Previous articleHashtag. A Universal Symbol of Change. Next articlePayback is a serious hurtin’. The form… it is a changing.